I love this track... cant wait to see more from you, Great traction,sick ruts and braking bumps, Jump faces are perfect, Track width is awesome. A little short but feels like a local track. Enviroment had an awesome feel to it. Good job 7/10 man. 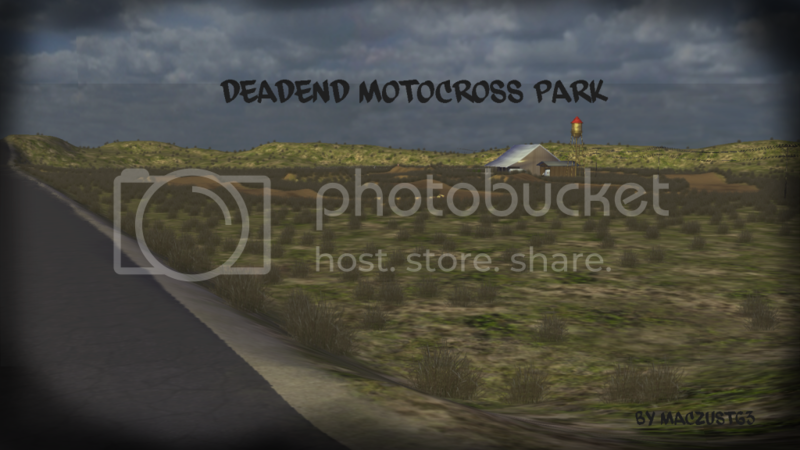 DM 119 wrote: I love this track... cant wait to see more from you, Great traction,sick ruts and braking bumps, Jump faces are perfect, Track width is awesome. A little short but feels like a local track. Enviroment had an awesome feel to it. Good job 7/10 man. The track was cool... and I like short tracks, but a bit too short. The roller section is sick gnar. checkerz wrote: The track was cool... and I like short tracks, but a bit too short. The roller section is sick gnar. yea its really short like arenacross short i just wanted to complete a track for the first time and practice every aspect of making one. wow, great job on this mac! i like pretty much everything, and in addition it has such a nice scenery! Andy_Hack wrote: wow, great job on this mac! i like pretty much everything, and in addition it has such a nice scenery!